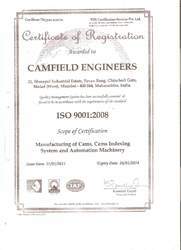 We are a technically proficient an ISO 9001:2008 certified company, actively engaged in manufacturing and export of Cam Indexing Systems, Barrel Cam Indexer SD Series and Globoidal Cam Indexer FD Series, our exporting countries is USA, UK and UAE. 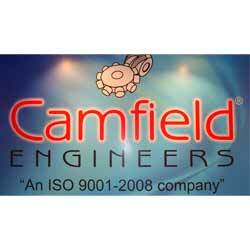 Ever since our establishment in the year 1991, in different technical configurations as desired by the client. Holding sufficient expertise in the industry, we can meet our client’s requirement. Backed by a team of industry professionals, we have developed a very strong vendor base, to cater to any challenge by efficiently meeting the MOC requirement on time to furnish the fabrication related demands of our clients. 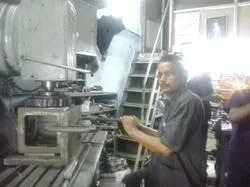 Our efficient team is well versed in meeting any kind of challenge right from turning jobs of different sizes, heat treatment, (nitrating, induction, vacuum hardening) to hardware and bearing of any make. Mr. Clinton Lobo has vision to provide best product to there clients furthermore we are known in the industry for manufacturing of customized products hence delivering complete satisfaction to our clients. Not only this, but we are also one of the most preferred partners as we adapt to latest market tradition which are fine tuned with the latest development in the industry thereby delivering a product rage that is devoid of any manufacturing defects. 2010-11 Rs. 1 - 2 Crore Approx. Camfield’s Globoidal Cam indexers are robust, versatile units suitable for a wide variety of application. Globoidal Cam indexers features flange or shaft output, universal mounting optional thru hole, optional double extended output. The unlimited rotational configurations of the input and output shaft ensure complete compatibility with your project. FD CAM REDUCER is a zero-backlash precision reducer that is highly accurate, rigid and durable Mechanism. It''s zero backlash characteristics are due to the unique pre-load mechanisms and its high accuracy and high transmission efficiency eliminate performance variation problems due to abrasion while maintaining high performance on a long term basis. It also significantly enhances the performance of motion controls. It ensures a new dimension of high-precision motion control, with a wide variety of applications such as automated machines, robots and power transmissions.